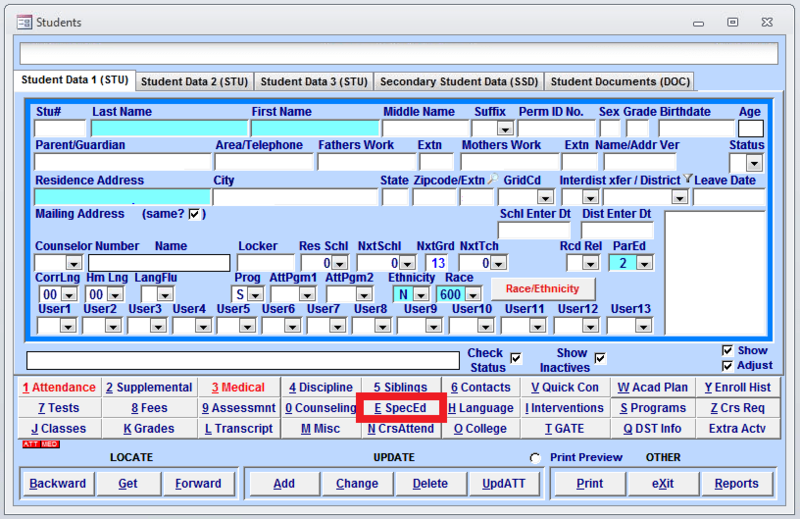 Step 1: Once a student is selected in Aeries CS, click on "E SpecEd"
Special education specialists use a variety of different systems to be able to determine the status of special education students. 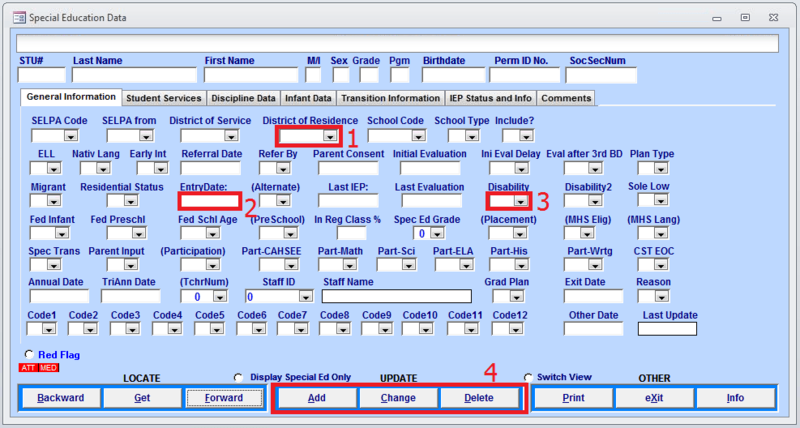 Even though Aeries may not be your primary student management system for special education, it does require the most up to date information in it as Aeries is the master data source for updates to the State of California’s official student data system called CALPADS. 2) Entry Date: This is the first day of Special Education designation. It can be for a date before a student attended your school. If this is the case, the start date for the student’s program will be the first day of school in CALPADS. 3) Disability Codes: See below the screenshot for a list of codes and descriptions. 4) Click on “Add” for new records, “Change” for edited records, and “Delete” for records you no longer want to show a historical record of.